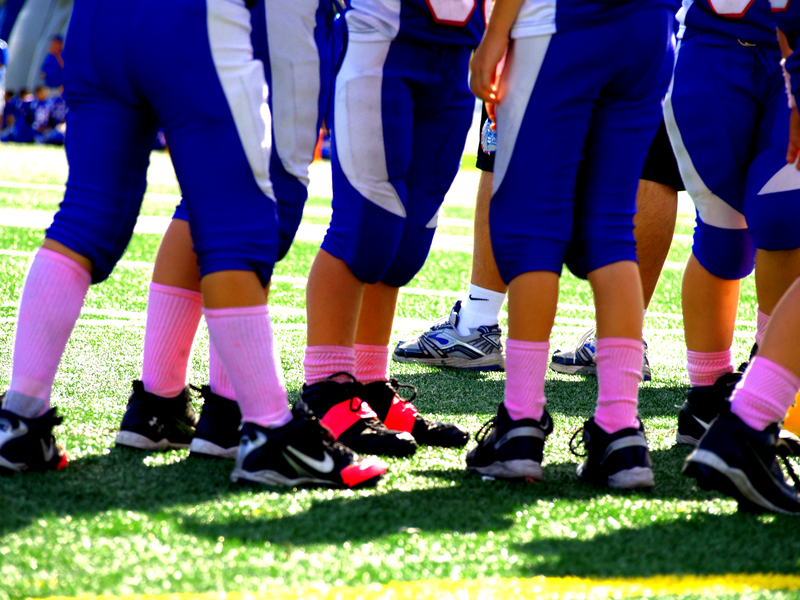 Our Mighty Mite boys are wearing pink socks for Breast Cancer Awareness. LOVE those socks! This shot focuses on them just right. It makes me want to to play something… and still look awesome. Perfect! My hubby is a firefighter and they are all wearing pink t-shirts this month. Awesome. What a great thing to do! Great capture of the moment! I had my mammogram yesterday! Great picture. I love all the manly guys wearing pink.